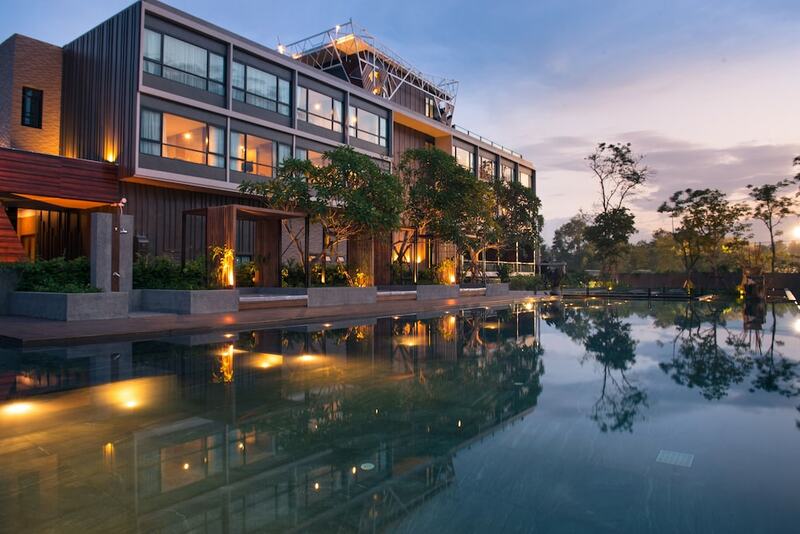 Hotels in Hang Dong are perfect for anyone looking for more of a rural retreat, yet still be close to the main international airport and city centre of Chiang Mai. This selection of Hang Dong Hotels and San Pa Tong Hotels features some amazing design resorts overlooking the mountains, as well as luxury swimming pools, fine restaurants and a whole host of top-notch facilities. This southern region of Chiang Mai is full of fun activities too, from jungle treks, to mountain biking and nature camps. The city centre and all the main tourist attractions of Chiang Mai are all just a short taxi drive away, and most of these hotels offer private transfers from the airport and city. Scroll down to see our top hotels in Hang Dong, Chiang Mai.